Judaism (the Jewish Religion) is defined as the totality of beliefs and practices of the Jewish people, as given by G‑d and recorded in the Torah (Hebrew Bible) and subsequent sacred writings of Judaism. Where Does the Term Judaism Come From? Who Is Judaism For, and Is Judaism a Religion? 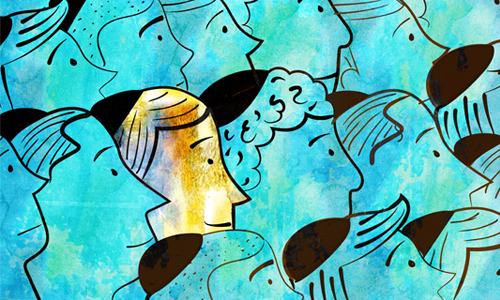 Are There Different Kinds of Jews? The Jewish people believe by definition that G‑d is the single creator and animator of the world. He has no helpers, no children and no rivals. G‑d is everywhere and has no properties (for that matter,G‑d granted humanity the gift of free choice neither is He really a “he.”) In Jewish belief, G‑d is the invisible force behind everything that happens and knows everything, past present and future. G‑d granted humanity the gift of free choice. When people follow His ways (as outlined in the Torah), G‑d rewards them. These rewards can be in this world, as well as in the World to Come, which comes after death. Just as every individual works hard toward achieving personal perfection through following G‑d’s ways, so is the entire world heading toward a time of eternal peace and plenty. This time is known as the era of Moshiach (or Messiah). During this time, Jews will return to the Land of Israel and rebuild the Holy Temple in Jerusalem (see below). A most amazing feature of this time is that death will cease, and the dead will be brought back to life. Read more here. The story of the Jewish people begins with G‑d creating the world in six days and resting on the seventh. Then, He chose Abraham and his children to become His special nation who would dwell in a special homeland (Israel). After a 210-year stint of slavery in Egypt, G‑d took His people to Mount Sinai, where he made a covenant with them and gave them instructions for life. After 40 years of wandering, the Israelites entered the Promised Land. 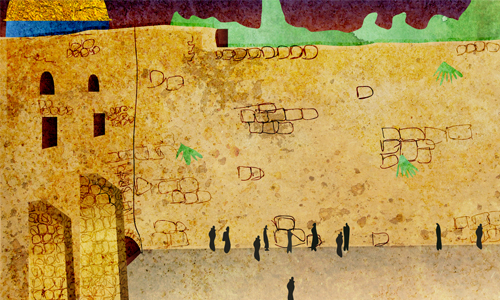 In time, they built a Holy Temple (Beit Hamikdash) in Jerusalem, where they could offer sacrifices and connect to G‑d. The Holy Temple was eventually destroyed by Roman invaders, and the Jewish people went into exile and were scattered all over the world (galut). But the story is not over yet. We believe that the time will come when we will once again be gathered in our homeland with a rebuilt Temple in a world that will be peaceful, G‑dly and perfect. The Torah refers to Abraham as a Hebrew (read what that means here), and that name is most commonly associated with the language of his descendants. His grandson, Jacob, was given a second name of Israel, and that name has become closely associated with Israelite homeland (which you can read more about here). Of Jacob’s 12 sons, Judah had the role of leadership. At one point, he was the dominant tribe among those living in Israel (read what happened to the others here), and the entire nation became known as Jews, and their creed, Judaism. Moses—the leader who led the Jews out of Egypt and to whom G‑d communicated in the presence of the people at Mount Sinai—recorded the story of creation and the history of Abraham’s family up until his time in what became known as the Torah, or the Five Books of Moses. In addition, the Torah also contains G‑d’s instructions for personal and communal life. Prophets and Writings: In addition to the Torah, there are 19 other books that are sacred to the Jewish people. They are grouped into Neviim and Ketuvim, (Prophets and Writings). They contain the history of the Jewish people for several hundred years from after Moses’ death, as well as prophetic communications from great leaders of the Jewish people. Read the entire Torah, Prophets and Writings here. 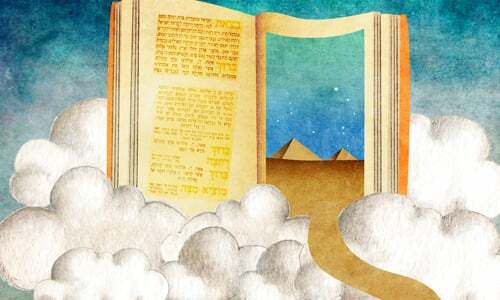 Oral Torah: Alongside the Divine traditions that Moses recorded in the Torah, there were many details and commandments from G‑d that were communicated and preserved orally. As time went on, the sages of each generation discussed the Torah and elaborated on its principles. These discussions were eventually written down, becoming the Mishnah, Talmud and Midrash. 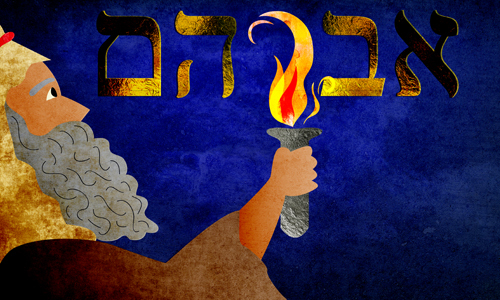 Read the history of the Oral Torah here. These texts are still being studied, explored and expanded on as we speak. In addition to individual scholars and study groups, there are academies (yeshivahs) where people study these traditions. In many places, Jewish children attend private schools where they can learn Torah in addition to their secular education. Some children may attend Hebrew school, where they learn about Judaism outside of their regular school hours. Since 1994, Torah study has been accessible online through Chabad.org and other sites. Find a Hebrew school anywhere in the world here. The Torah contains 613 instructions, called mitzvahs. While some of these mitzvahs pertain to the Holy Temple, others are applicable to day-to-day Jewish life. Here are some of the basics. 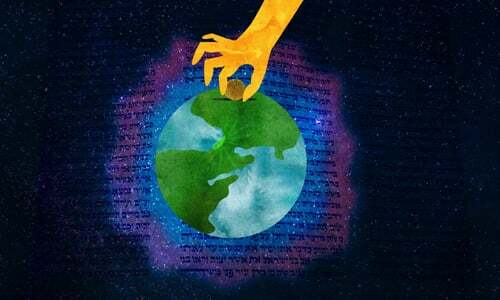 Shabbat: Remember that G‑d created the world in six days and rested on the seventh? He commanded His people to do the same. 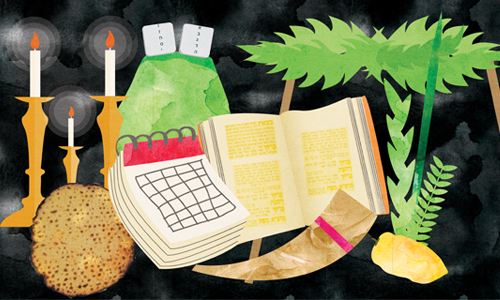 Every seventh day (Friday night to Saturday night) Jewish people feast, pray and enjoy a break from everyday life. 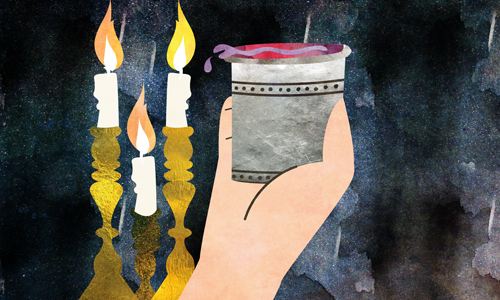 The Shabbat is ushered in with candlelighting late on Friday afternoon. Read more here. Holidays: There are numerous Jewish holidays. You can read more about them below. Kosher: In the Torah G‑d sets forth a special diet for His people. Only certain species of animal may be eaten (no pork of shellfish), meat must be slaughtered in a special way, and meat and dairy are kept completely separate. Read more here. 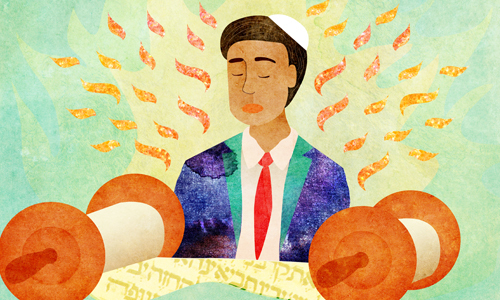 Prayer: Jews pray regularly to G‑d, often communally in a synagogue. The backbone of the prayer service is a line from the Torah called the Shema, which reads: Shema Yisrael A-donai E-lohainu A-donai Ekhad. In addition to being said every morning and night, this prayer is also said as a Jew prepares to pass on to the next world. Read more here. Tallit and Tefillin: Jewish males are enjoined to wear certain “adornments,” which are most often donned during prayer. The tefillin are leather boxes that are strapped to the head and arm. They contain sacred scrolls, which contains snippets of the Torah, including the Shema. Read more here. The tallit is a four-cornered garment (often white with black stripes) worn draped over the shoulders. When we look at the fringes (tzitzit) on each corner, we are reminded of G‑d and His commandments. Read more here. In the fall there are the high holidays: Rosh Hashanah (the New Year), which is celebrated with prayers, hearing the blasts of the shofar (ram’s horn) and feasts, which include the traditional dish of apples dipped in honey; Yom Kippur (Day of Atonement), when Jews gather to pray and don’t eat or drink for 25 hours; and Sukkot, celebrated by dwelling in special huts called sukkahs, and taking the four kinds. These are followed by Chanukah, in the winter, which is celebrated with lighting a candelabra called a menorah (or chanukiah) for eight consecutive nights, and Purim, which is a joyful holiday toward the end of winter. In the spring, Jews celebrate Pesach (or Passover), during which we get rid of all leaven (dough that has risen). Instead, matzah (a flat cracker-like food) is eaten. This is followed by Shavuot, which marks the day of the Divine revelation at Sinai, when we received the Torah. The Torah and most of the Writings and Prophets are in Hebrew, the language that G‑d used to create the world. In time, Jews began to speak Aramaic, and that became the language of the Talmud. As Jews migrated to Europe, they began to speak special dialects of Spanish and German. Those became known as Ladino and Yiddish, respectively. There are also Jewish dialects of Arabic. The Land of Israel is the sacred birthright of the Jewish people. 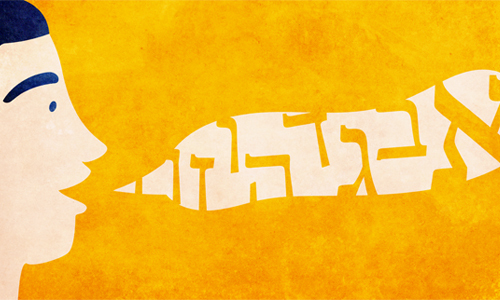 The holiest city is Jerusalem, which is the place G‑d chose for His presence to dwell in. The holiest place in Jerusalem is the Temple Mount, where the two Holy Temples stood. Since Jews can no longer go there, the Western Wall, which hugs the western embankment of the mountain, has become the central place for Jewish prayer. It is also known as the Kotel (“wall”). All over the world, Jews gather regularly to pray in synagogues (also called shuls). In the front of the synagogue (in the direction that faces Jerusalem), is the Holy Ark, a cabinet in which the Torah scrolls (each one handwritten on parchment) are housed. But Jewish worship can happen anywhere, and every place can become a holy place. 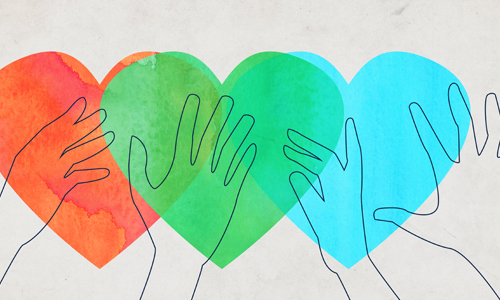 Do something nice and make G‑d proud somewhere, and you’ve made that place a sacred spot. Judaism is the automatic religion of every Jew. And a Jew is someone who was either born to a Jewish mother or converted to Judaism with a bonafide rabbinical court. There are some Jews who (for whatever reason) haveJewish worship can happen anywhere lapsed in their practice of Judaism. Some may profess to believe in another religion or have no beliefs at all. They are still Jewish, and the Torah and its teachings remain their eternal birthright. Non-Jews are not bound by most of the Torah. They are, however, enjoined to live in accordance with the Seven Noahide Laws, which set the groundwork for a moral and just society. Every Jew has equal access to G‑d. 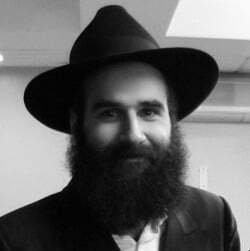 The more mitzvahs you do, the more Torah you study, and the more you work on refining your character, the closer you come to G‑d. No individuals or organizations hold the keys to heaven. In ancient times, there were twelve tribes of Israel, each one of whom had a different territory in the land. The tribe of Levi was selected to be G‑d’s servants. They taught Torah to the people and cared for the Holy Temple. Within Levi, there were the kohanim (priests), who offered sacrifices in the Temple. Today, most Jews do not know which tribe they are from. However, the exception is the Levites and Kohanim, many of whom have preserved their tribal identity. Rabbis are learned Jews, who are proficient in key areas of the Torah. Like a doctor is qualified to give medical advice and prescribe medicine, someone who has been conferred the title “rabbi” can be relied upon to be a trustworthy and accurate conduit of Jewish tradition, belief and practice. How Do I Know If I Am a Jew? Who Were the Founders of Judaism? What's really wrong with orthodoxy? Could anyone give me any book recommendations (preferably academic) on the Jewish view(s) of Scripture - i.e. whether it is viewed as being without error, or whether there are a range of views within Judaism on this subject.